When Pope Francis visits the Curran-Fromhold Correctional Center in Northeast Philadelphia on Sunday, Sept. 27, it will be “by far the largest and most extensive event we have ever had,” said Louis Giorla, commissioner for the Philadelphia Prison System during a June 30 press briefing. In the past, the prison has been visited by Philadelphia’s mayors and archbishops, and the highest ranking government official ever to visit was Senator Arlen Spector, according to Giorla. How Curran-Fromhold was chosen as one of the six sites officially listed on the Pope’s Philadelphia itinerary — the Cathedral Basilica of SS. Peter and Paul, Independence Hall, Benjamin Franklin Parkway, St. Charles Borromeo Seminary, Curran-Fromhold and Philadelphia International Airport — the commissioner doesn’t know. 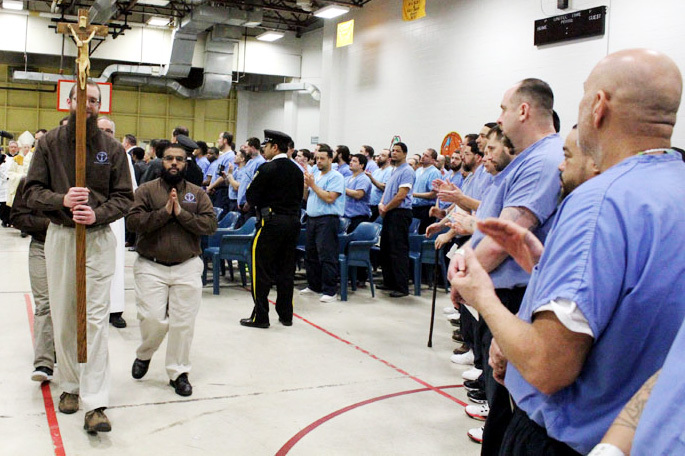 In January, when Archbishop Charles Chaput made a pastoral visit to Curran-Fromhold, Commissioner Giorla joking suggested Pope Francis should be invited to the prison during his expected visit to Philadelphia for the World Meeting of Families. Giorla believes the archbishop passed this suggestion along, in light of Pope Francis’ well-known concern for the imprisoned. 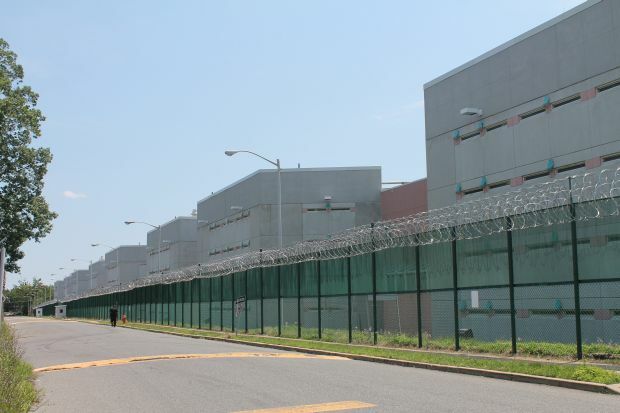 Curran-Fromhold, which opened in 1995, is named for Patrick Curran and Robert Fromhold, the warden and deputy warden of the former Holmesburg Prison who were murdered by two inmates in 1973. At this time it houses about 2,000 inmates and is part of a complex of prisons along State Road that have a total of 8,100 prisoners, both men and women. Although Curran-Fromhold has only male inmates, those who will attend the meeting will include both men and women from the entire complex and also some family members of inmates along with prison staff. The inclusion for both sexes and family members is in keeping with the wishes of the pope, according to Commissioner Giorla. Just how many prisoners will be able to attend, he could not say at this time, and the selection will not be made until near the time of the visit because the population is fluid, with prisoners being released and new prisoners coming in. The exact site has not been chosen, but it could be one of the two gymnasiums at Curran-Fromhold. Directives from the Vatican did not specify that the meeting should include only Catholic prisoners and it is expected all will not be Catholic. 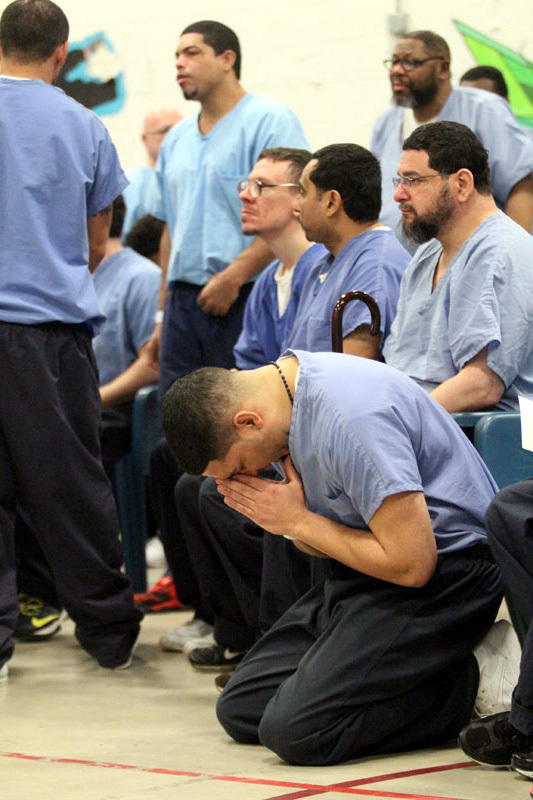 At this time, it is estimated by self-identification there are about 1,200 Catholic prisoners in the inmate population, or slightly under 15 percent. Commissioner Giorla noted there are a large number of Muslims in the system at this time. Although Curran-Fromhold only houses male prisoners, the warden is Michele Farrell, and Pope Francis will not be the first pope she has met.